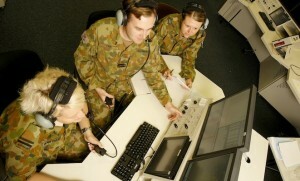 Minister for Defence Stephen Smith and Minister for Defence Materiel Mike Kelly announced on Tuesday that the Vigilare air defence command-and-control system has achieved final operational capability (FOC). Vigilare has been installed at RAAF Base Williamtown and RAAF Base Tindal, giving the ADF enhanced surveillance and communications capabilities. The system fuses surveillance data from multiple inputs, producing a comprehensive picture of air activity over Australia and the region. The program was put on the Projects of Concern list in 2008 because of schedule delays but prime contractor Boeing Defence Australia worked with Defence to resolve outstanding problems, the ministers noted.